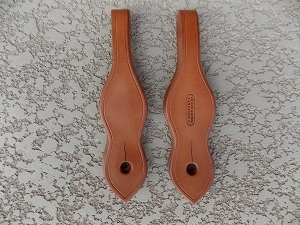 Economy Slobber Leathers: These slobber leathers are made from our top quality latigo. 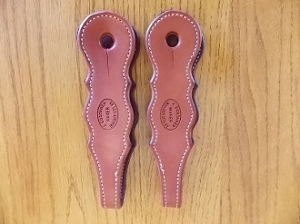 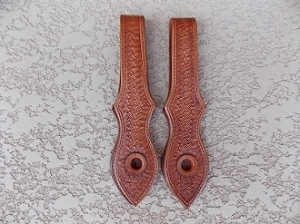 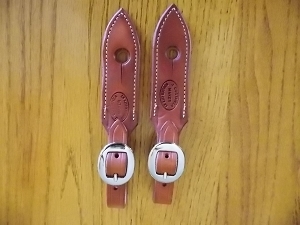 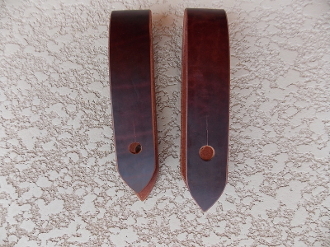 The slobber leathers are 1 1/2" wide by 8" long with precut holes for your snaffle bit mecate. 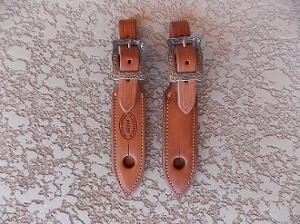 We use this style on our popular snaffle bit bridle.